As always ! In -out ... and every detailed with explanation before and after. Thanks!!! Very quick and painless service. Staff was excellent. Great cleaning with Michelle. Staff super as always. Drs Joseph & Vivian Mauriello and their staff are always very personable & professional. ...Highly skilled at their trade as well as heling to create a fun, relaxing , family oriented environment for the patient. Dr. J Mauriello and stag were very helpful. Dr. Took the time to make sure my mouth was numb before starting and asked me often if I was ok. He also explained (w/ use of x-rays) what was needed. 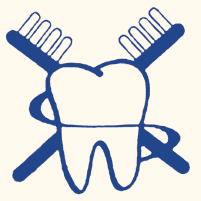 Simply the best place to go for your Dental needs. Great staff, always helpful, respectful and informative. Thank you!!!! Dr. Joe and his staff are the best...would not go anywhere else! I have Been a patient of Dr Muriello for over 10 years. I always have great results. Professional, Personable and courteous staff. I would Highly recommend Dr. Muriello and his team. Doctors Mauriello, both Vivian and Joe are the best. So are the staff. I look forward to going there for my appointments. The Visit was the best the staff was unbelievable, I would recommend this dentist to everybody.